Crab Imperial | Let's Cook With Bry! Phillips Seafood is a chain of restaurants along the Eastern Seaboard. We would frequent the Ocean City, Maryland, restaurant in the summers, which is where I learned the proper method of removing the meat from a crab. Phillips brand crab meat is available at Costco and other stores across the country, so you should be able to find good quality crab meat, when in season and available. Set 1/3 of the mixture aside, and mix the remainder with the crab meat. 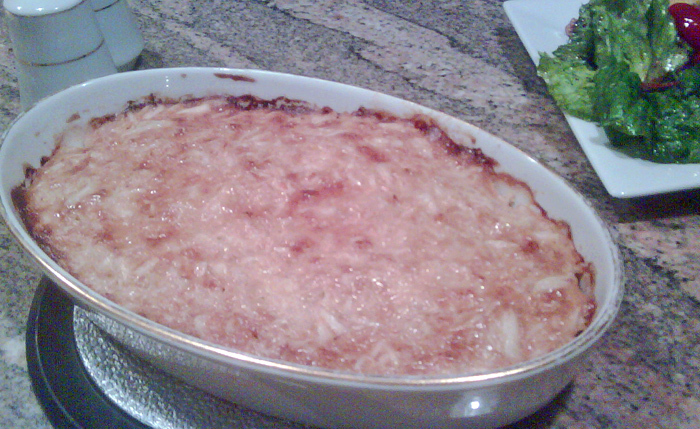 Spread crab mixture into a baking dish (or divide into individual portions) and spread remaining sauce over the top. Bake at 400° for 15 minutes. Sauce should turn a golden brown color.